From May 27 to May 30, Jinan Shengquan Group and her Russian branch company participated in Russian Metallurgy - foundry machinery exhibition in Moscow , which is Russia's most specialized foundry industry exhibition, jointly organized by the Russia METAL-EXPO and German Dussel Dov. Almost all the world's leading foundry machinery manufacturer and foundry materials manufacturers are gathered here. It has been 3 years since the establishment of Shengquan Russian branch company, who has been dedicate herself to promoting Shengquan foundry products and technical solutions to Russian market, and Shengquan brand has been widely known and accepeted by more and more customers. 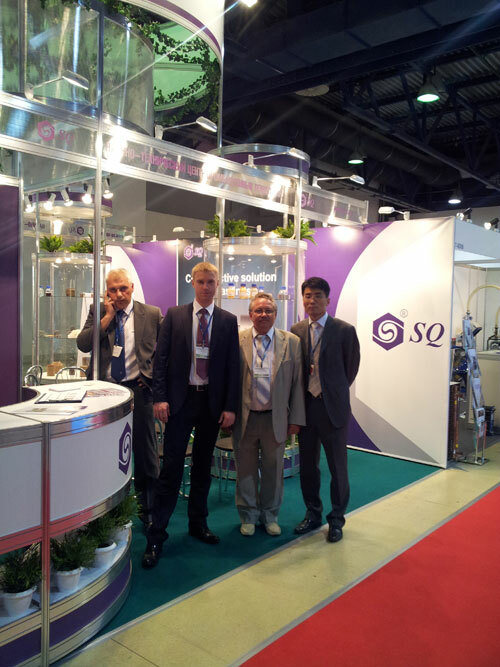 During this exhibition, Shengquan group is awarded as "Best exhibitor" by the organizers.